Brisbane property valuer CSA Valuers is an independent property valuation practice providing an expert, reliable service for property related matters. Request a valuation quote. Our registered property valuers are fully qualified and experienced. We can help you by providing a wide range of valuation services within the state of Queensland (QLD), Australia. Our client base includes members of the public, legal firms, accounting firms, lending institutions, developers, investors, charity organisations, body corporate managers and self-managed bodies corporate. 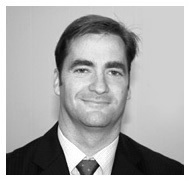 The Director, property valuer Tim Bodman, commenced with Clem Scanlan in 1994 and together they formed Clem Scanlan and Associates. In 2006 Tim took over ownership and founded CSA Valuers Pty Ltd. Tim has gained significant experience in many real estate fields having completed extensive residential property valuations, rural residential valuations, commercial and industrial valuations. He holds an Associate Diploma in Business (Real Estate Valuation), was registered with the Valuers Registration Board of Queensland on 11th March 1997, and was admitted as an Associate member of the Australian Property Institute on 15th November 1999. Tim is also a Certified Practising Valuer. Property valuers in Brisbane providing property valuations in Queensland including realestate in Brisbane, Ipswich, Toowoomba, Sunshine Coast and Gold Coast. You might also be searching for a property evaluator.